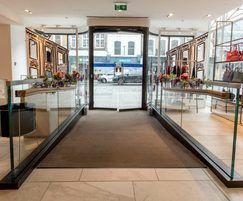 The Colchester branch of Fenwick - an independent chain of department stores - underwent a programme of refurbishment. 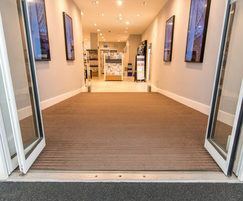 The store designers incorporated entrance matting into all entrance areas to ensure the store provides a welcoming and safe environment for its customers. 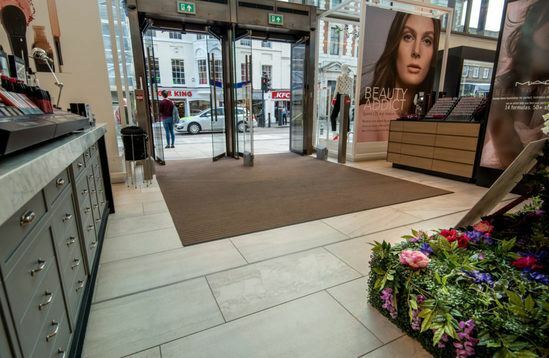 To prevent dirt and moisture entering the building, CS supplied a Pediluxe entrance matting system, renowned for its quality and high performance. The system features robust aluminium profiles with integral scraper bars, interior grade carpet inserts and deep channels for maximum dirt retention. Capable of withstanding up to 500kgs/wheel loads, CS Pediluxe is also easy to maintain. The mats fitted in the busiest entrances have nearly 5m in traffic direction, to ensure maximum dirt, grit and water removal. 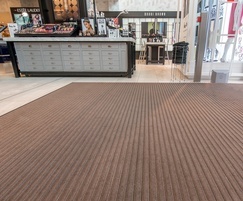 Espresso colour carpet inserts were selected to create a bright, attractive entrance to the store. 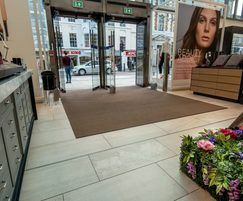 The entire CS Pediluxe entrance matting solution will ensure the Colchester Fenwick store stays clean and safe for its visitors.